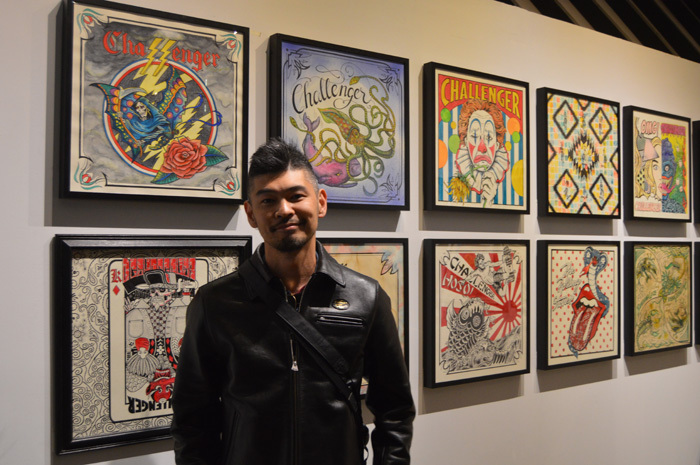 Satoru Taguchi pictured with his artwork at the Commonwealth LA launch event. 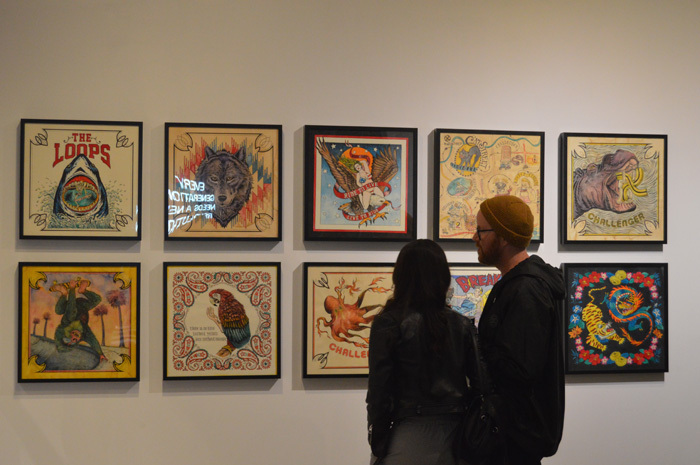 DC Shoes recently brought in three very experienced people into positions key to the brand’s success. The company has a new VP of Footwear, Global Head of Marketing, and Director of Lifestyle Marketing &PR. The work these people do will be felt by its customers, very soon. Brand General Manager, Mike Jensen, shares insights about the hires and a recent collaboration between DC and CHALLENGER designer Satoru Taguchi. Photos of the launch event can be found below interview. The combination of Ben Wang, Director of Lifestyle Marketing & PR, Michael Minter, Global Head of Marketing and Cory Long as VP of Footwear brings together diverse backgrounds. How does this trio put each person’s strengths to work? DC is committed to investing in top talent. Each member of our team offers different skills and points of view, with the common denominator of being fully behind the brand’s direction and momentum. I strongly believe in building teams utilizing players with versatile skill sets and diverse backgrounds. The crew we’re assembling at DC is just that. Every person on our team brings a track record of success, a belief in the brand and, importantly, a selfless approach. We ultimately share in the successes and areas for improvement as one team. When and how will the impact of the group’s efforts show up in the DC brand? 2018 for DC has been about re-establishing credibility, amplifying our skate heritage and pivoting into lifestyle. We’ve worked hard to build this foundation and look forward to further elevating product and transitioning into one of the most important brands in skate and beyond. One of our key launches this year will be the E. Tribeka which will be a game changer within the market. 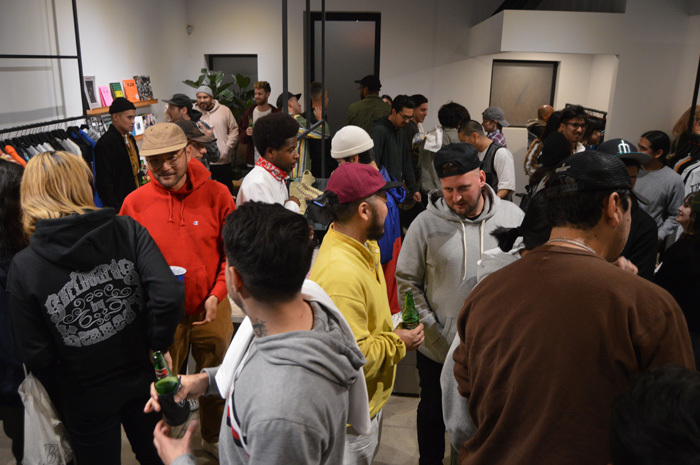 Additionally, our apparel line is killer – not only does it embody the current trend in fashion but the style is truly authentic to the DNA of DC and so far reception has been positive. When will it reach the consumer? The E. Tribeka hits retailers and DC.com in June just in time to kick off the back-to-school season. It’s a versatile shoe the offers skate-to-street adaptation that our consumer can adapt easily to their style. We are excited to launch this new style and have some unique colorways and collaborations to support it – we know our audience will love it. Who was involved in bringing the DC x Challenger collaboration together? DC actually worked with CHALLENGER designer Satoru Taguchi at the beginning of his skate career when he was in his early 20s. We’ve always admired the brand and Satoru for their quality and craftsmanship, which we felt, aligned with our own. 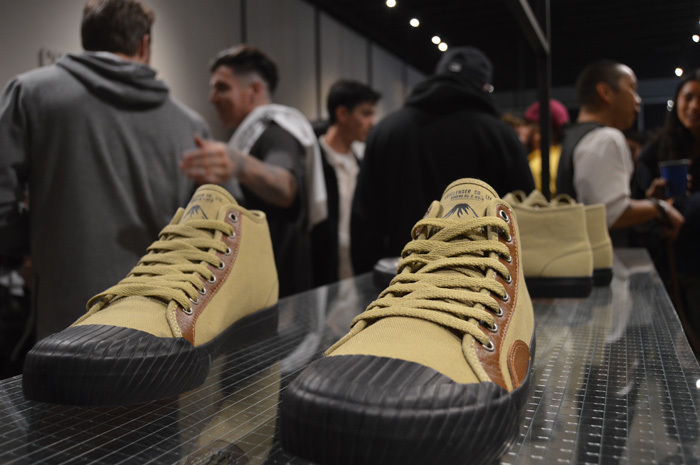 This made for an organic partnership leading to a style that really shows DC’s authentic design position in skate and bringing it to a broader street lifestyle audience. 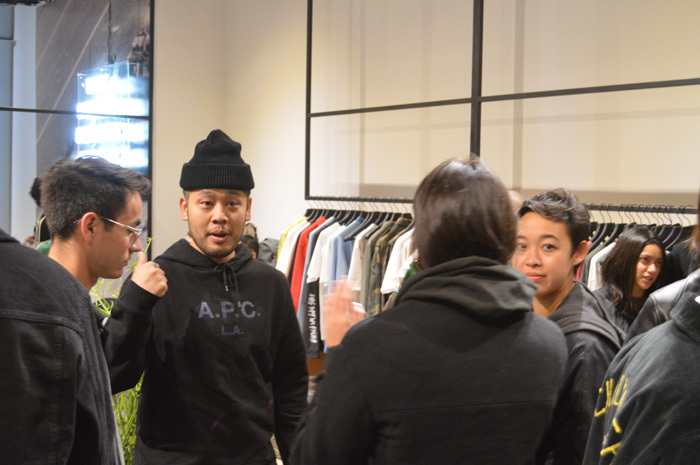 We have a strong team in Tokyo that’s exceptionally connected to the skate & street communities and we’ve enjoyed a great relationship with Taguchi-san for more than a decade. 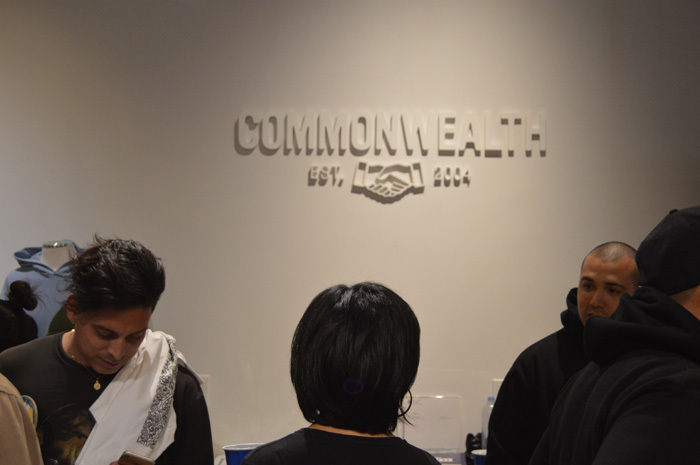 Will the shoe be released beyond the Commonwealth store? In the US, The EVAN HI ZERO CHALLENGER will only be available in-store at Commonwealth LA and will launch in Tokyo later this month. What else can we expect to see from DC this spring and summer? Again, the E. Tribeka is our big focus along with some other collaborations, some that will take us into a more elevated fashion arena. Our campaign around the E. Tribeka will be a nod to our consumer who glorifies city life and hustle of entrepreneurship and has a wide range of interests. Our fans have been asking for product versatility and want a sneaker that can adapt to their personal style. The Tribeka will exude this. It’ll be released for both men and women in a variety of color ways. Additionally, we’re excited to release our Street Collection, which is apparel inspired from a new, London-derived subculture that is brewing amongst the latest fashion trends in cities. The Evan High Zero CHALLENGER - the reason why this event went down. This party goer points to what's up next. 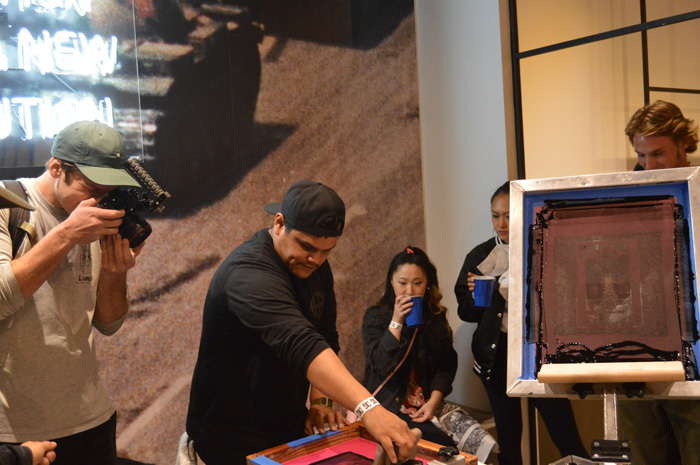 And that's screen printing Bandana Lyze. Head to Commonwealth to get yours.